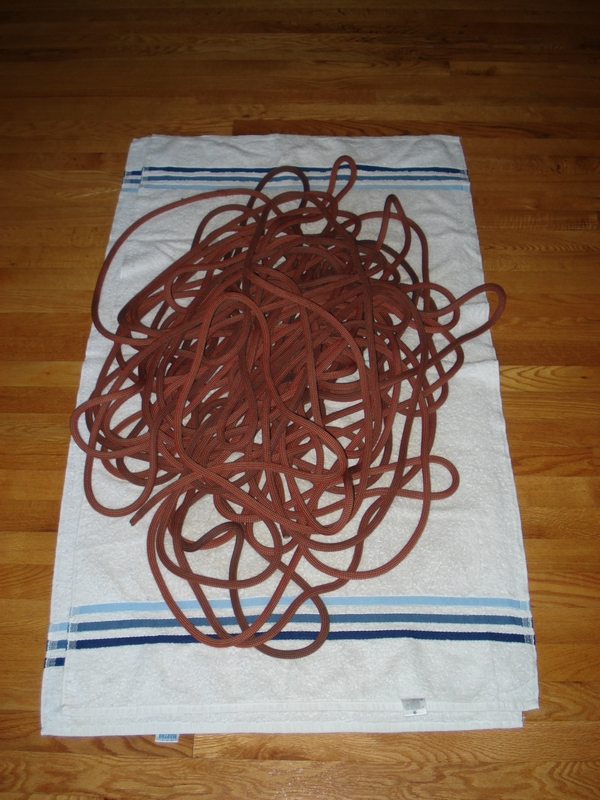 How to wash a climbing rope? Occasionally a climbing rope may need to be washed. The rope may be leaving black residue on the belayer’s hands, it may have been dropped in the mud, or it may have been exposed to seawater. For whatever reason, washing a climbing rope becomes necessary. The following explains how to wash a climbing rope in the washing machine and by hand. 1. It is possible to machine wash a climbing rope! 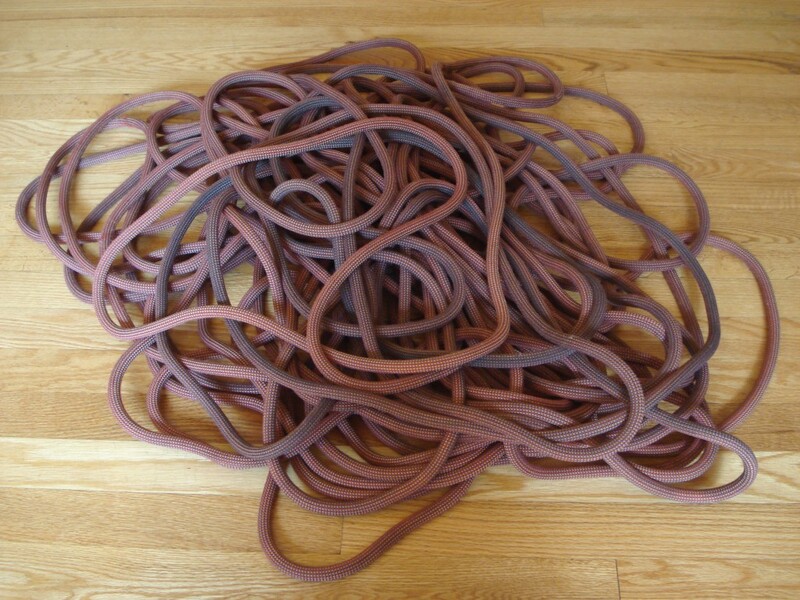 First, flake out the rope (pile it loosely on the floor). 2. Daisy chain the entire rope. This keeps the rope away from the agitator and prevents the rope from being tangled or abraded by the washing machine. 3. Carefully lay the rope in the washing machine, keeping it away from the agitator. 4. Set the washing machine to the gentlest cycle and cold water. This is typically the “woolens” cycle. This is important because the nylon that makes up the rope can be damaged if heated with hot water. Add a cleaning product such as Sterling Wicked Good Rope Wash or a gentle detergent. This step is optional as washing in water alone seems to work just as well. 5. Run the washing machine. 6. 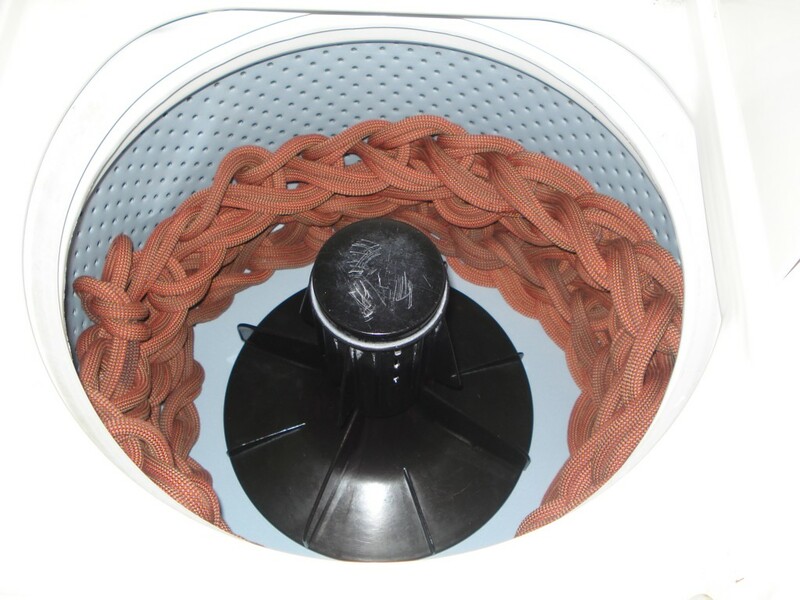 Remove the rope from the washer and flake it out onto a dry towel. The rope will be dry in a day or two. Use a fan if it needs to dry faster. Never dry your rope in the dryer! Heat can damage the nylon and weaken the rope. Never dry your rope in direct sunlight! Long term exposure to UV rays can weaken the rope. 1. 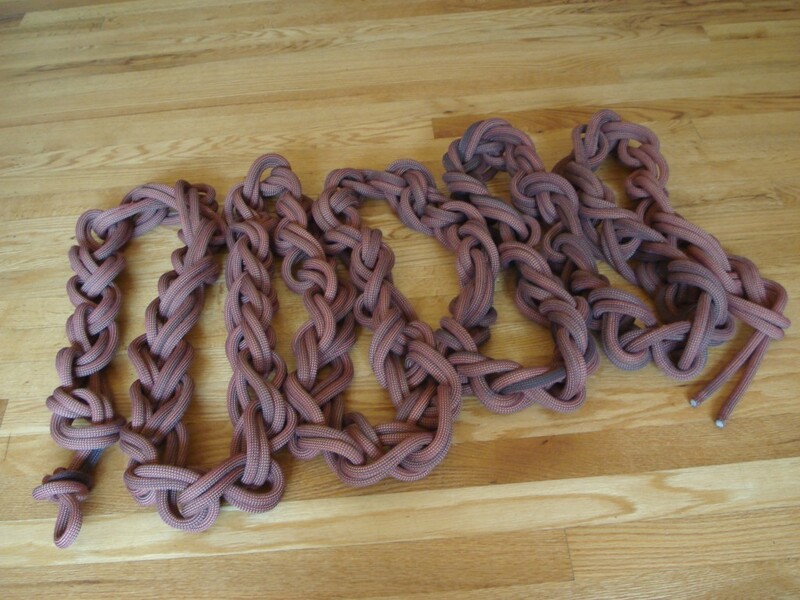 It is possible to machine wash a climbing rope! First, flake out the rope into an old pillow case. 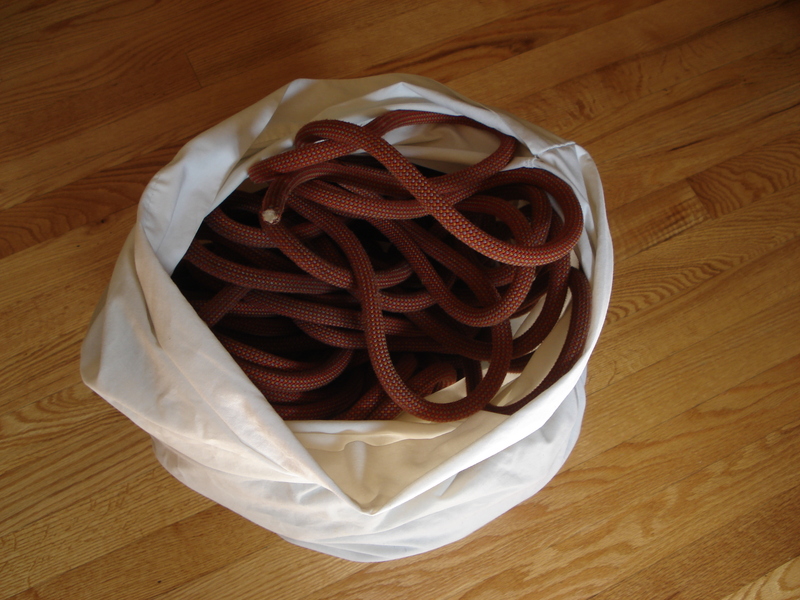 Climbing rope flaked into pillowcase. 2. 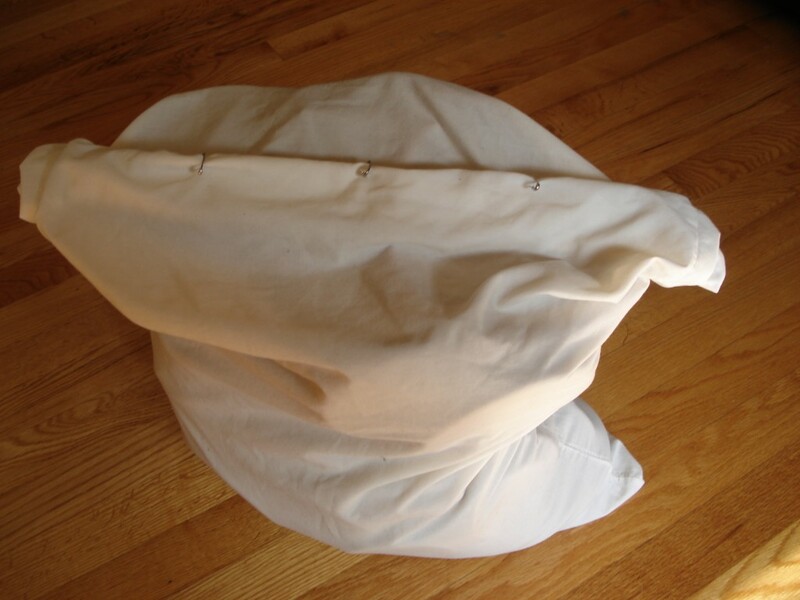 Close the end of the pillow case with safety pins to keep the rope inside. 3. Place the rope inside the washer. 4. As with the top load washing instructions, set the washing machine to the gentlest cycle and cold water. This is typically the “woolens” cycle. This is important because the nylon that makes up the rope can be damaged if heated with hot water. 5. Add a cleaning product such as Sterling Wicked Good Rope Wash or a gentle detergent. This step is optional as washing in water seems to work just as well. 6. Run the washing machine. 7. Once the rope is clean, flake it out onto a dry towel. The rope will be dry in a day or two. Use a fan if it needs to dry faster. Never dry your rope in the dryer! Heat can damage the nylon and weaken the rope. Never dry your rope in direct sunlight! Long term exposure to UV rays can weaken the rope. 1. Fill a tub or bucket with cold water. 2. Add a cleaning product such as Sterling Wicked Good Rope Wash or a gentle detergent. This step is optional as washing in water seems to work just as well. 3. Flake out the rope into the water. 4. Allow the rope to soak for a few minutes. 5. Lay a towel or two on the floor next to the tub or bucket. 6. Flake the rope onto the towel. 7. Repeat the process of flaking the rope into and out of the water until it is clean. Change the water if it becomes dirty. 8. Once the rope is clean, flake it out onto a dry towel. The rope will be dry in a day or two. Use a fan if it needs to dry faster. Never dry your rope in the dryer! Heat can damage the nylon and weaken the rope. Never dry your rope in direct sunlight! Long term exposure to UV rays can weaken the rope.